A dentist is a healthcare specialist who holds the knowledge and skill to care for your oral health condition. He is a skilled individual who went to school to earn his degree, took the examinations to obtain his license to practice. 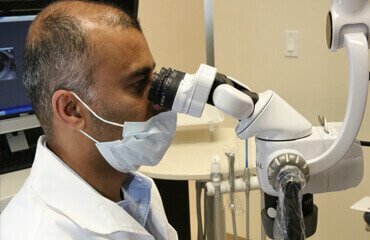 He has devoted years to his chosen field of practice to be able to treat patients and he can also operate as a Claremont emergency dentist. Jaw fracture. Jaw fractures are often the result of a physical blow to the face from sports injury, vehicular accident or anything similar. The blow is much to intense for the bone to take so it breaks, shatters and crumbles. Xrays will have to be taken to see the state of the bone and if it requires splinting, surgery or bone grafts, it will be done accordingly. Teeth fracture. Teeth can also fracture from a physical blow but it could also happen if the teeth are weak or subjected to something hard and tough. Depending on the break, the tooth may need to be restored or it may require a pulp treatment, prior to restoration. Avulsed teeth. A tooth may be avulsed or taken out of the socket, just as it would if it were extracted and if conditions are satisfactory, it could be replaced back in the socket. If the tissues were kept in tact and the bone receives it well, the same fibers can regenerate and hold the teeth back in place. Broken dentures. This may not seem like a critical emergency, but if the patient needs his dentures to be functioning, he will need a dentist who can fix the prosthesis. He cannot be without teeth, so he needs it fixed, even temporarily. Dislodged prosthetic teeth. Same as in the case of removable dentures, if the patient cannot endure a few hours or a few days without teeth, he will need someone who can make appropriate remedy as necessitated. It may be a simple recementation, a tooth build-up or any kind of repair. Dislodged fixed appliances. If the patient is wearing any kind of fixed appliance: braces, expanders, space maintainers, space regainers and so forth, they could get dislodged and if some components are poking on the tissues, they need to be reattached so as not to hurt further. Profuse bleeding after surgery. This is not uncommon after surgery especially if the patient is a known bleeder. After surgery, after the patient has been released there are instances when profuse bleeding will follow, and this should be controlled by a dentist. The tooth may need to be dressed, sutures may need to be replaced or he may be medicated. There are other accidents and emergencies can happen. These are only examples of what a Claremont emergency dentist can do in his office. When the need arises, usually when you least expect it, you will find a special dentist and it will be comforting to know that there is a Claremont dental office that you can run to when in need.